Farmed and Dangerous by Edith Maxwell is the third book in the Local Foods Mystery series. Cameron Flaherty is running Attic Hill Farm (took it over from her Uncle Albert) and trying to make a go of it during the winter. She has established hoop houses and is growing greens in them for her customers. Cameron has a chance to get a contract with Moran Manor to provide produce during the summer. Cameron’s Uncle Albert lives at Moran Manor and Cameron visits him frequently. Cameron is on a date with Detective Pete Pappas when he gets called to a death at Moran Manor. Beverly Montgomery is dead (Cameron has had problems with her in the past when Beverly still lived at her farm). Beverly was not a popular person. She frequently rubbed people the wrong way especially her caregiver, Oscar. Her daughter, Ginger, wanted the farm for real estate development, but Beverly wanted it to be kept a farm. In order for Pete to investigate the case, he has to distance himself from Cameron (her food might have poisoned Beverly). The next day Miss Lacey, who also lives at Moran Manor, dies. What is going on? Cameron sets out to solve the case and clear her name. She cannot afford to have her name nor the farm’s associated with these deaths. When Uncle Albert is found on the floor in his room with a head wound, Cameron is determined to get answers. I was thoroughly delighted with Farmed and Dangerous. Another great addition to the Local Foods Mystery series. I give Farmed and Dangerous 5 out of 5 stars. 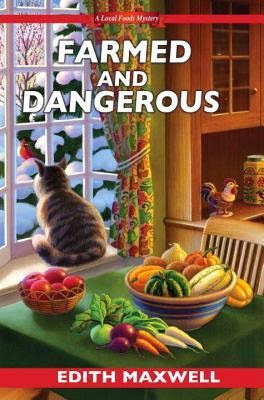 Farmed and Dangerous had great characters, a good mystery with twists, interesting information about growing vegetables and herbs in winter, and a little romance. What more can a reader ask for in a cozy mystery! Farmed and Dangerous can easily be read without reading the first two books in the series. Farmed and Dangerous will be out on May 26, 2015! 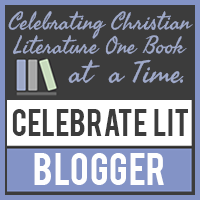 The first two books in the series are: A Tine to Live, A Tine to Die and 'Til Dirt Do Us Part. I received a complimentary copy of Farmed and Dangerous by NetGalley in exchange for an honest review. The review and opinions expressed are strictly my own. I hope everyone is having a fun Memorial Day weekend. Great time to relax and get in some reading (unless you are having people over and then it means you have more work to do!) I am currently reading Murder at the Breakers by Allyssa Maxwell. Take care and Happy Reading! I'm so glad you liked the book, Kris!